We invite you to choose from our well-furnished rooms that will allow you to enjoy your stay with your loved ones. Every person who goes on a vacation expects a complete package of fun, frolic and good ambiance. At P.A. Resorts, Yelagiri we serve you with the best so that your stay with us will always be memorable. Peaceful vacations at the pleasant Yelagiri Hills starts with us. 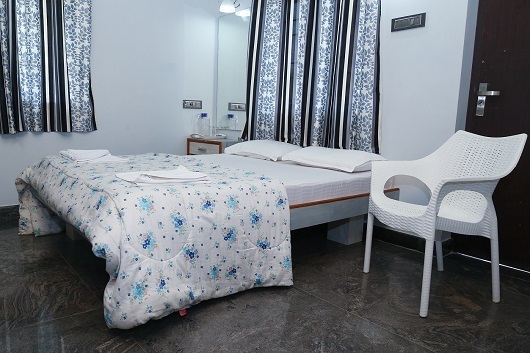 Our Double A/C room will be perfect for 2 Adults and 1 Child. If you have an extra person we can always accommodate in this room (chargeable). Experience the best of Yelagiri Hills at every price. We offer the best of services at affordable prices. 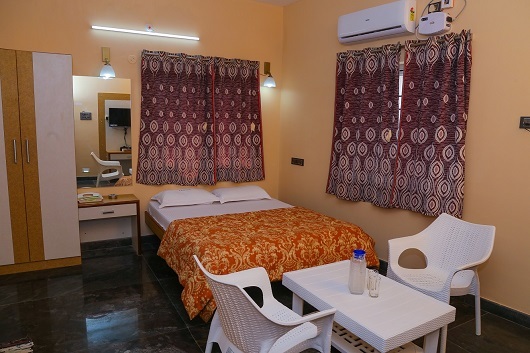 Our Double Non-A/C Room can accommodate 2 Adults and 1 Child. The fun of traveling with friends or with your entire family is very special. You will create memories that will stay afresh forever. 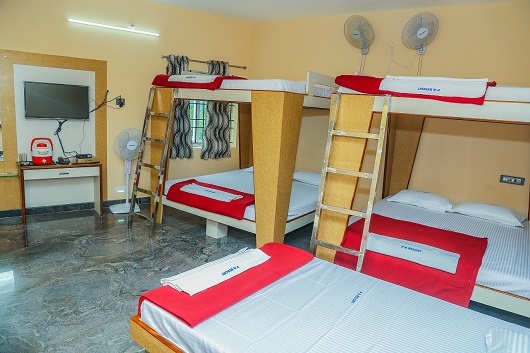 For holidays that come in plus sizes, we have an 11-bed dorm room that is suitable for bulk bookings. Cleanliness is godliness to us! Your safety is our foremost priority! Round the clock service at your disposal! A perfect solution for corporate bookings! A fully functional team is just a call away! Awesome food for bulk and corporate bookings! Fully working lift round the year! We will customize your vacation needs! Internet connectivity at free of cost! Huge conference rooms for every corporate need! All types of Holiday packages for you at affordable rates! 32-Inch LCD TV for every room that entertains you and your family! Clean and industry ready swimming pools for children and the complete family! Copyright © PA Resort 2017. All rights reserved.